Our Coravin system keeps wines in perfect condition, giving us the ability to serve fine wines by the glass. 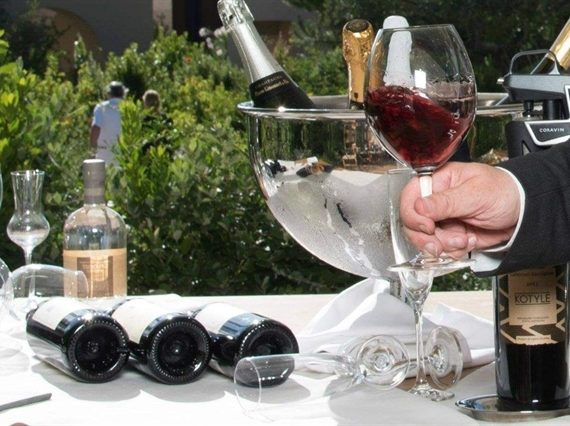 Choose from our cellar diverse varietals, brands and vintages, and enjoy your favorite wine by the glass at Flame restaurant. 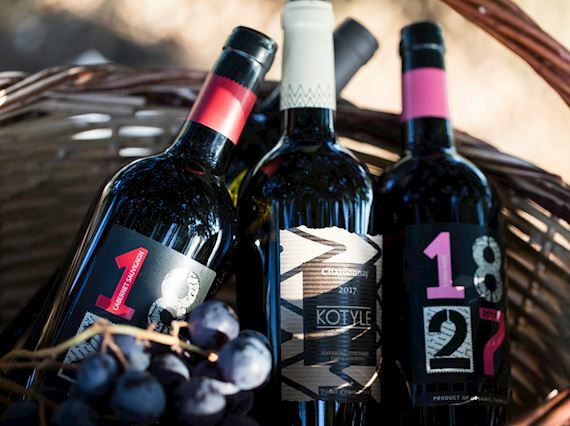 Taste local and other Greek wines and become familiar with their distinctive colors, aromas and flavors. Wine experts will not only guide you through a unique tasting journey in the very place where the life of wine begins, but also help you choose the perfect food pairing for each wine you try. Kindly check the weekly calendar of events for the exact date and time of the wine master class. Don't miss this great opportunity to be part of one of the most fun and authentic Messinian celebrations, the wine grape harvest. People of all ages come together each year to gather and press the grapes in Costa Navarino's vineyards at Mouzaki. 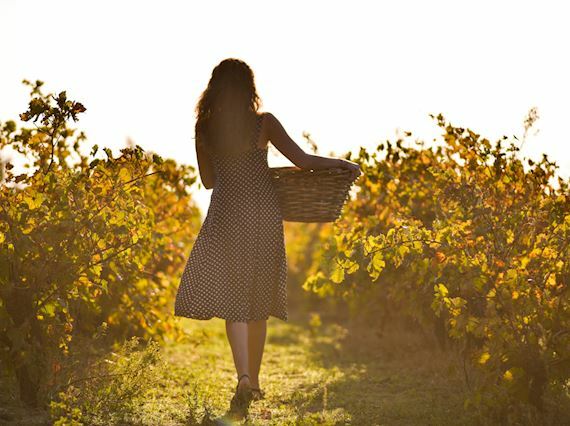 After helping to hand-pick the grapes, you will be invited to join in the merriment of the old-fashioned method of grape-stomping, before tasting a selection of fine local wines and delicacies.